Verizon has announced its selection of Sacramento and Los Angeles as two of the first cities to pilot Verizon’s 5G wireless home broadband internet service by Q4 of 2018. Verizon has said this innovative new technology could be rolled out in up to five markets in 2018, but so far only the two California cities have been revealed as selected locations for this highly-anticipated commercial launch. 5G is sure to be a game changer for residents and businesses alike in Sacramento. In an interview with NBC, Verizon Chairman and CEO Lowell McAdam explained the far reaching implications of this new service. 5G requires smaller cell sites located closer together than current larger cell phone tower equipment. These smaller cell sites are about the size of a backpack and can be placed on buildings and streetlights. Sacramento currently has six cell sites active as part of a 2017 consumer trial. Samsung has approval from the Federal Communications Commission (FCC) to provide Verizon with 5G equipment for the Sacramento roll out. The FCC had already approved an outdoor router and access unit, now Samsung has approval for a 5G indoor router, as well. Samsung says this “end-to-end system” is now available for Verizon to use. By 4th quarter of 2018, Verizon plans on having over 1,000 5G cell sites up and operating in Sacramento and Los Angeles. The first place you’ll see the benefits of 5G is in your home broadband and applications, in things like voice activated assistants/ smart speakers like "Alexa" and other internet connected home products and systems, such as energy monitoring systems and smart-home devices. And, of course, you'll experience faster speeds and less lag time with your home and business wireless connections. In the first quarter of 2019, Verizon expects to roll into a mobile environment as 5G compatible mobile devices become available. 5G service is supposed to be 100 times faster than current mobile service and 10 times faster than the fastest home internet service. 5G service doesn’t just mean faster service to your home internet or mobile phone. By adopting a Vision Zero goal, Sacramento can take actionable steps to make its streets safer for all pedestrians, cyclists, and drivers. “I have never seen a technology that will be more disruptive and have more benefits for consumers than 5G,” McAdam announced. McAdam even sees the potential for 5G to impact health care applications, providing an opportunity to lower health care costs and have better outcomes because 5G has improved latency (latency refers to delay or lag time) over current standards. Imagine a not-so-distant future where a medical procedure could be performed via virtual reality and robotic arm by a surgeon who’s in an entirely different location. This is an example of an actual demonstration given to show the potential for 5G technology to impact the medical field. On an entertainment note, 5G is expected to be disruptive to gaming services and consoles. It can even help bring Virtual Reality into movie making, people’s homes, or into a new-style game arcade offering a fully virtual reality experience. “Sacramento continues its emergence as a leader and innovator and will be the first scaled commercial practical implementation of 5G in the nation. It is this type of innovation that will enable residents to experience gigabit speeds that were previously only available via costly fiber. Technologies like 5G promise to revolutionize the daily lives of people. The City plays an important role and is actively working to streamline the development processes and effectively and efficiently pave the way for innovators like Verizon to implement technologies that will drive economic vitality, decrease the digital divide, serve our diverse communities, and forward the mission of the City for all. 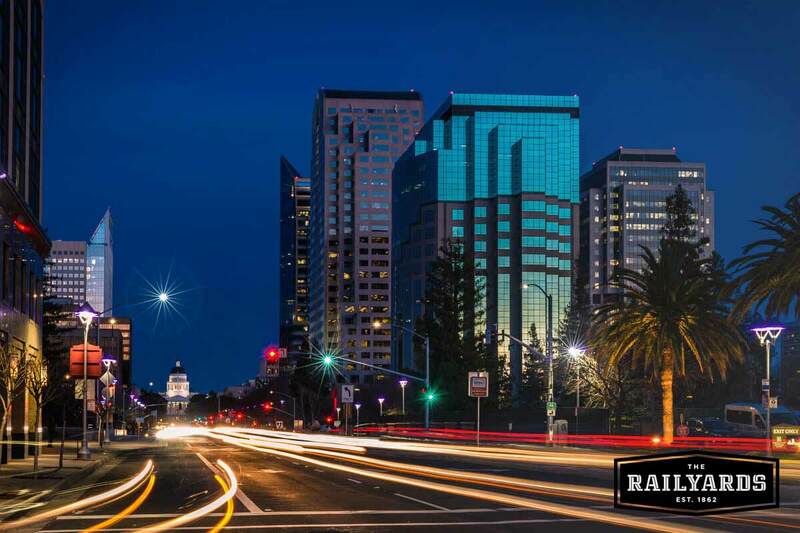 Sacramento intends to use 5G to provide free Wi-Fi access to 27 city parks, and connect 280 intersections to fiber to create more efficient control at the traffic operations center level. The effort also will include initiatives to provide internships and opportunities for elementary, middle and high school students to promote science, technology, engineering and math careers. Sacramento Mayor Darrell Steinberg said the 5G pilot program is part of his goal to drive innovation and make Sacramento a "destination city." Enjoy this article? Share it with your friends.